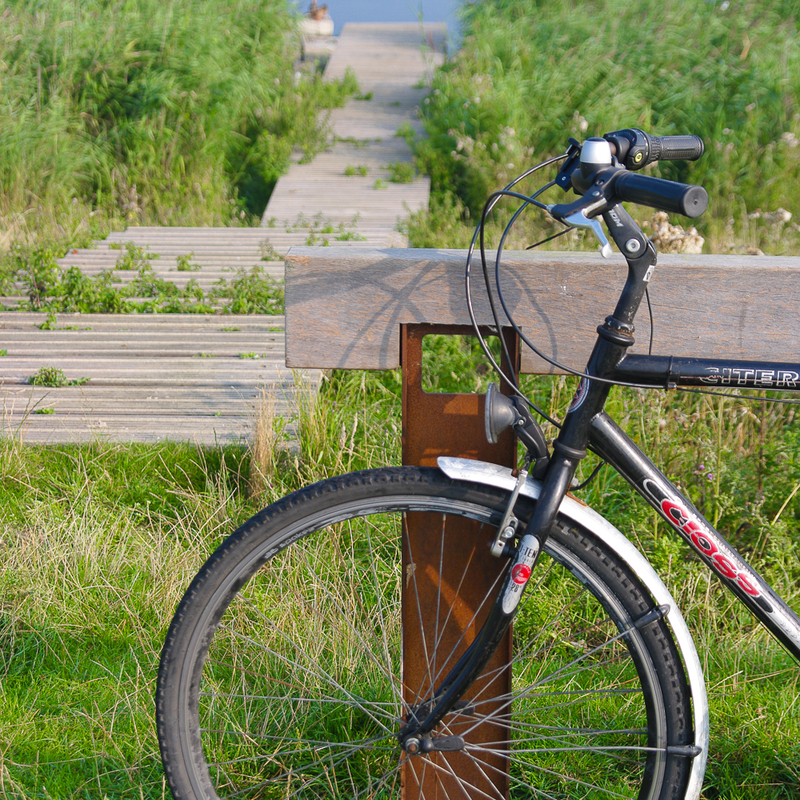 Rough&Ready Bicycle Rack is an attractive supporting stand for bikes. The hole in the steel support is for fixing the bike to the stand with a chain lock. The Rough&Ready 7x15 cm - 3”x6” beam divides the space in a minimalistic way horizontally between bikes. 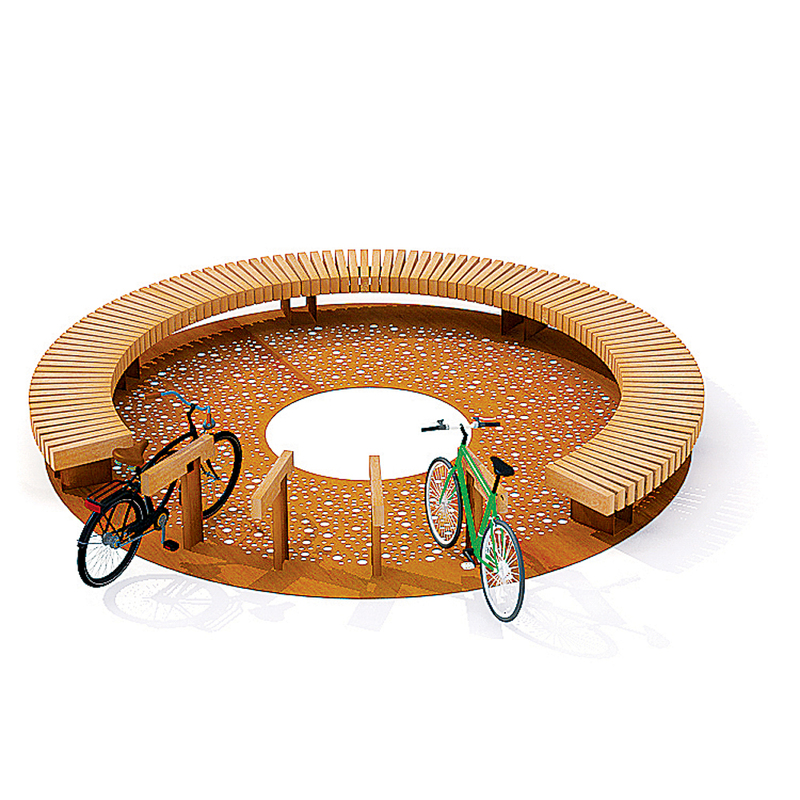 The untreated and sustainable FSC® hardwood bar also ensures that there will be no damages to the bicycle. 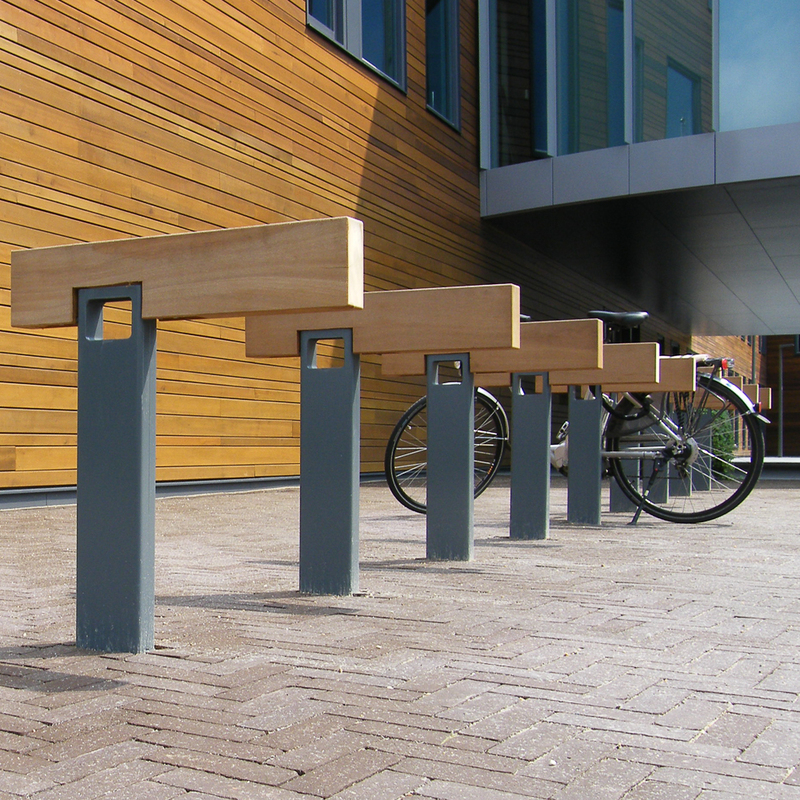 For the first time, streets can be furnished with a natural, user-friendly yet robust bicycle stand. Streetlife advises placing the R&R stands at spatial intervals of 95 cm - 37”. 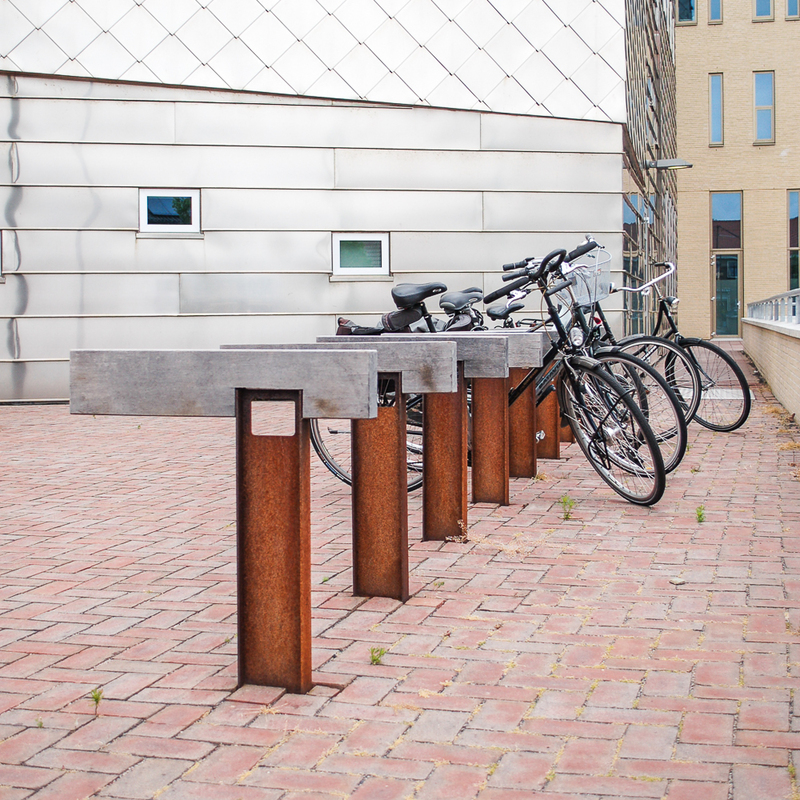 The steel support is available in galvanized and CorTen steel or (optionally) in a powder coated RAL colour. 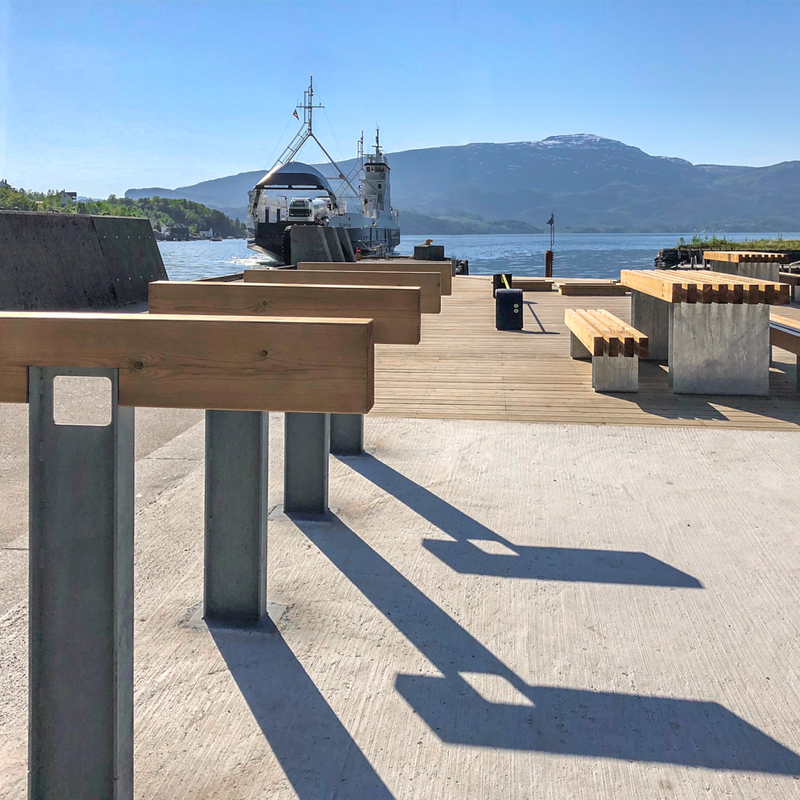 It can be supplied with a concrete base.